This book of LIFE you MUST read. The proceeds from sales will go towards building a new primary school for 200 underprivileged children in Bangladesh. This collection of enlightening self-help motivational and inspirational quotes guides you to discover your hidden potential and empower you to become the best you can be. Just like ‘the secret film’ every quote has its own power, every illustration gives life to each chapter of this self-help book, and they come together to provide a powerful Law of Attraction, like in ‘The Secret book’. Scottish-Asian entrepreneur Aladin Ali has been inspired by a group of underprivileged children in Bangladesh to write this magical self-help book. The proceeds from sales will go towards building a new primary school for these youngsters. 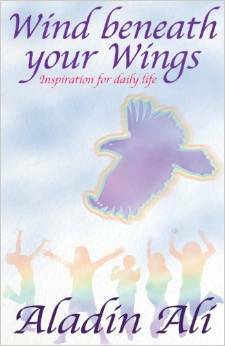 Let this book be your guide and your inspiration to make the necessary changes that will change your life forever.